Hiiii. The other day my friends came over and after doing some home cooking we painted our nails. LOL! 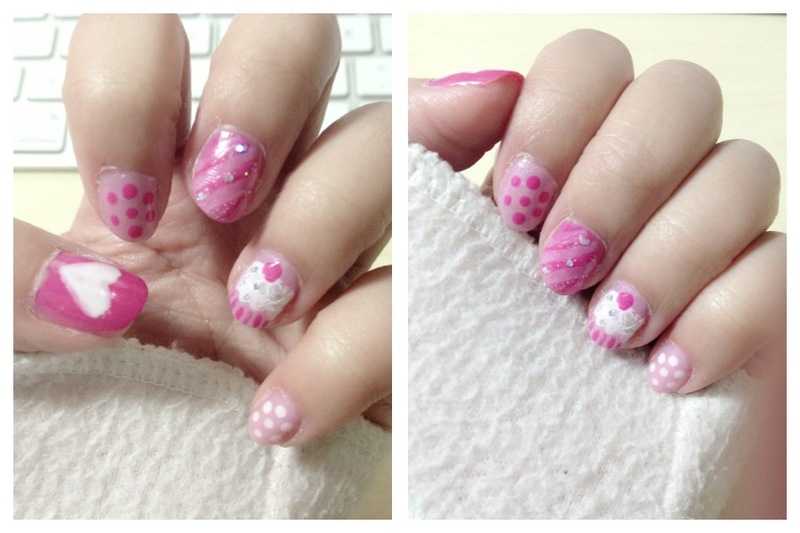 My friend kindly helped me out and did some of the designs on my fingers because i’m so clumsy >W<. I think i’ll do more cupcakes next time… they look so yummy *_*!! !